Click to follow this blog and receive notifications about new content by email. Enter your email address to follow this blog and receive notifications about new content by email. Jimmy Eat World released their fifth album, Futures, ten years ago. This was as good a reason as any for the band to do an anniversary tour with the premise of playing the album start to finish at each show. It is always interesting when a band plays a notable album in its entirety. You know most of the songs that will feature during the set, but can never tell if the band is going to do something more. Weezer did it well when they played their eponymous Blue Album at Vector Arena last year. They started off with a greatest hits set, followed by an intermission that featured a presentation from a long serving roadie about Weezer’s formative years, before wrapping it up with the Blue Album. When Shihad played Killjoy and The General Electric they had a rule that the encores could only feature songs that had been released prior to the album they’d just played live. I was happy to see Jimmy Eat World play Futures, but was hoping that they would play a selection of other songs as well. I needn’t have worried. As promised, the band played all eleven songs from Futures, commencing with the title track and finishing with album closer “23″. But then they played a selection of songs that spanned a good portion of their catalogue, enough to please everyone present. The musicians were stationed onstage with drums and keys at the rear, and the bass and two guitars at the front. This added an interesting visual dynamic. The symmetry was nice, but the band was mainly lit from behind, leaving the forward standing members silhouetted for most of the night. This seemed deliberate, because it was clear that the lighting technician knew what he was doing. The lighting wasn’t spectacular, but it added a lot to the show in a subtle way. There’s something special about seeing a band play their entire album live. They sounded just like the CD, from the rousing “Futures”, to the solemn “Drugs or Me”, to the tender “Night Drive” and the album highlight “Pain”. My one critique was that the band had a backing track of string section during the song “Drugs or Me”. This is me being purist and nit-picky, but when I go to a live performance I expect it to be exactly that: performed live. It didn’t take away from the experience, and actually enhanced the mood of the song, but I prefer not to listen to pre-recorded music in a live context. Futures is a great album, it sets a mood and simmers away. But the following set added urgency and unpredictability to the show because we no longer knew what was coming next. The second half of the night showcased another side to the band. They seemed to become more energetic and less restrained. 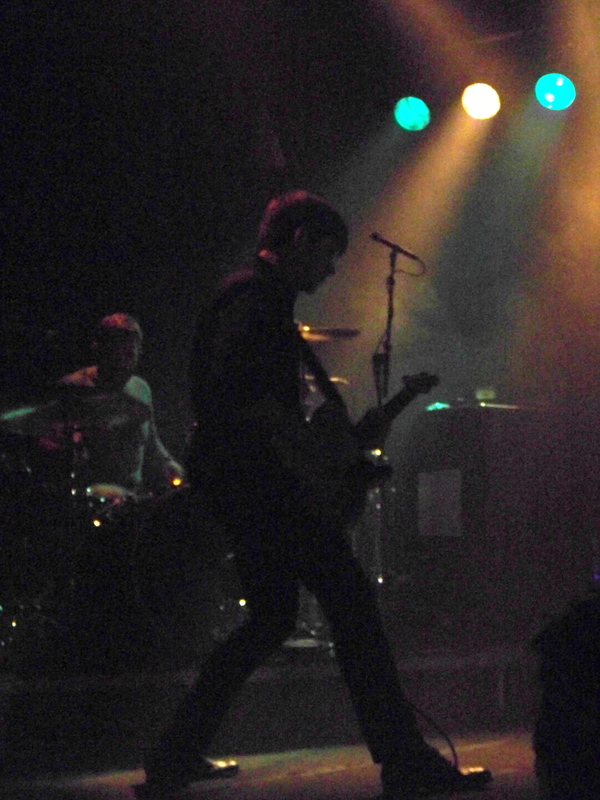 Lead guitarist Jim Adkins became increasingly wild with each guitar solo. Rhythm guitarist Tom Linton sang lead vocals for “Blister”. It was a good mix of songs from various albums and the audience became more enthralled as the band kept delivering by playing songs that we had hoped for. 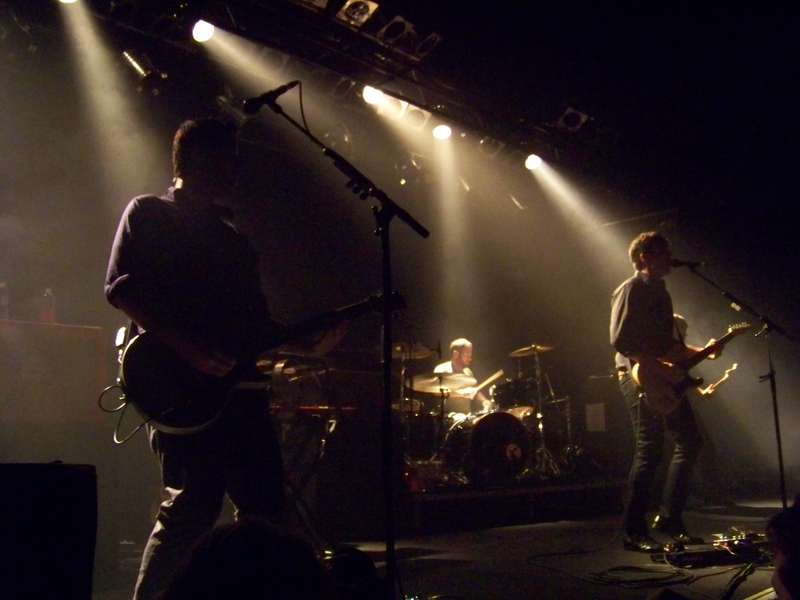 For their final encore the band inevitably concluded with the two yet unplayed singles from their 2001 album Bleed American: “Sweetness” and “The Middle”. I’m sure that everybody had been eagerly anticipating these two hits, and judging from the crowd reaction the band chose well to end on such a high. 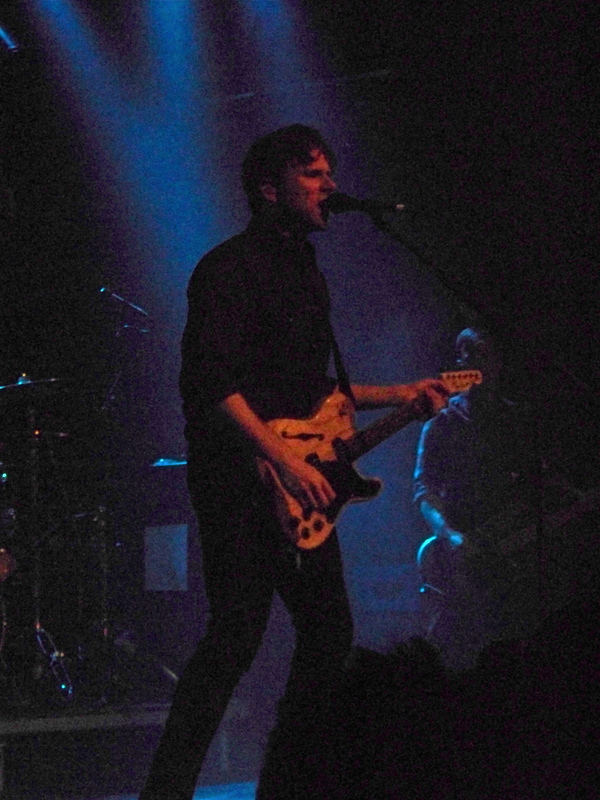 Because this was my first time seeing Jimmy Eat World, I think I would have preferred to see a standard show. That said, it was pretty unique show. They played a range of songs, old and new, but I got a glimpse of the band that I wouldn’t have seen otherwise. It was a great night and I’d certainly like to see them play again.